A recent study explaining that you’ll get your wallet back 9 out of 10 times if you lose it in Helsinki , reminded me of this topic. One of the things that surprised us most when we arrived in Finland is the perceived security on the streets. Walking on the streets of Joensuu, you’ll never feel unsafe. You can even do things like leave your bike unlocked for a couple of hours, and you can be sure it will still be there upon your return. Or you can forget your umbrella and come back some hours later when you remember where you left it, and it will be in exactly the same place. Happenings such as these, at least for most people, are astonishing. Even people who look tough on the streets wouldn’t hurt a fly. The strangest thing I found, however, were wardrobes in public or open-access buildings like libraries, schools or universities. 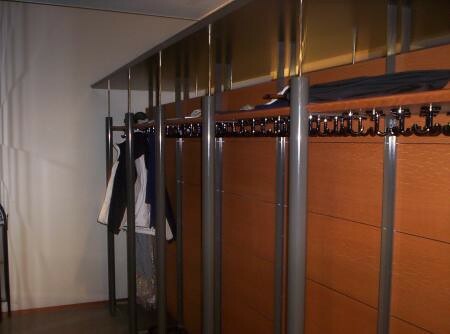 Instead of carrying your heavy winter coat and your snow trousers with you everywhere, Finns have huge wardrobes for all of their bulky clothing and accessories. Everyone leaves all they want to there: hats, coats, earmuffs, some bags, gloves and other winter apparel. For me, coming from Southern Europe, it took about six months to feel comfortable enough to leave my things at the public wardrobes, and even then I made sure that my coat pockets were empty of things I’d regret losing. Up to that point, I took all of that heavy apparel with me everywhere – but only because in my country, my clothes would have been long gone if I left them alone. From then on, leaving my clothes in a public wardrobe became the most normal thing to do for me. Even in some places – like a school I visited while doing a study – the students actually weren’t allowed to wear shoes in class, and they only could do so in the corridors. And, coming back to the study that shows that there is security in Finland because Finns are honest, when someone loses a scarf or a glove on the streets, if you come back to the exact same point, this piece of clothing will be most likely hanging on a tree branch. You can trust the Finns with that. What is your experience with this – your personal security and the security of your things in Finland? Do you perceive security the same way or differently?